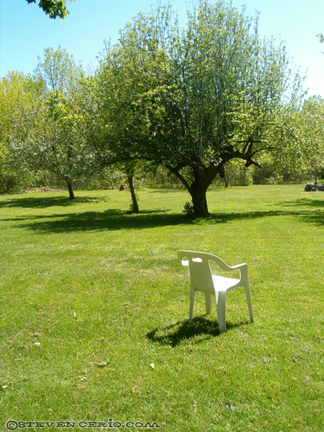 All summer I’m out near the apple trees on that flimsy but comfy plastic chair watching squirrels steal bird seed and getting some sun on my face. Always improves my mood. You’ll catch a glimpse of deer, pheasants and turkeys. A pair of mallard ducks come into the yard near dusk EVERY night to dig through the gardens. They like the sunflower seeds and oregano.